Bread Man Baking Company is going to help federal government workers get their daily bread, at least for this weekend. Photo by Tasos Katsaounis. So far, there’s still no end in sight for the government shutdown that started on December 22. That means that federal employees have now missed multiple paydays and many are on the edge financially. It’s an especially unfair situation for those who are designated as essential workers and still have to show up for the jobs that aren’t currently putting any money in their pockets. Houston restaurants and bars are legendary for lending a hand when times are tough, and this situation is no exception. Several are giving free or heavily discounted meals and drinks to federal employees who are going without pay. Important note: to take advantage of the majority of the below-listed deals, workers must bring proof of their current status and a government ID. If you know of a deal for unpaid federal workers not listed here, send us an email. 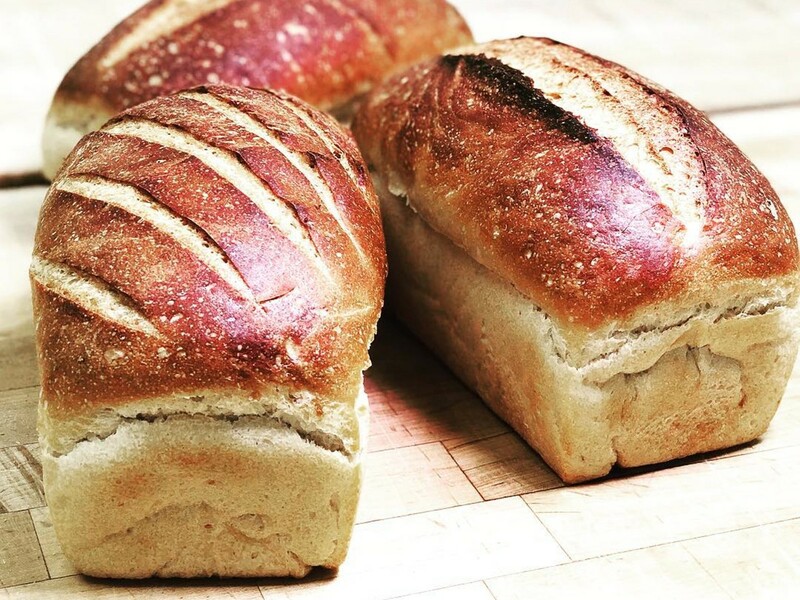 Bread Man Baking Company: Baker Tasos Katsaounis, who supplies several Houston restaurants including Antone’s Famous Po’ Boys, Bosscat Kitchen and the new Decatur Pop-Up Kitchen, is giving away a free loaf of his artisan white break over two days to government employees. “As Greeks, we learn as young people to be philanthropic. To put it simply, I want to help where I can and how I can. It’s not a lot, but it’s something and that’s better than nothing,” said Katsaounis via press release. On Friday, January 18, pickup is at the bakery at 9127 Stella Link between 8 a.m. and 3 p.m. On Saturday, January 19, employees can pick up from Bread Man Baking Company’s new stand at the Urban Harvest Farmer’s Market at 2752 Buffalo Speedway. The market is open from 8 a.m. until noon. Killen’s Barbecue, Broadway, Pearland: Executive chef Ronnie Killen famously gave away meals after Hurricane Harvey and he’s back at it again with this new crisis. On Friday, January 18, his barbecue restaurant is giving federal employees affected by the shutdown a free family pack of brisket, sausage, potato salad and beans. In addition, Smallcakes Pearland Parkway is adding a dessert to the meal. Pick up at the west to-go window. The restaurant opens at 11 a.m. and the offer is good until it runs out of the family packs. This Is It, 2712 Blodgett: According to KHOU, on Friday, January 18 from 8 to 10 a.m., this long-running soul food restaurant is giving laid-off federal workers free breakfast and coffee. Antone’s Famous Po’ Boys, multiple locations: Government workers can get 50 percent off a po’ boy or the many other dishes at three Antone’s Famous Po’ Boy locations. These are at 4520 San Felipe, 2724 T.C. Jester and the kiosk at 3 Greenway Plaza. 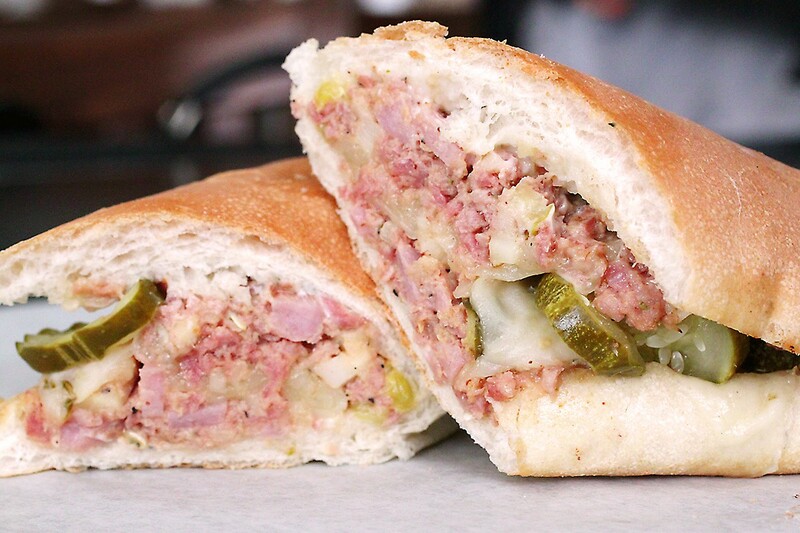 The offer is not valid at grocery stores or other places that carry Antone’s Famous Po’ Boys’ sandwiches. Michael’s Cookie Jar, 5330 Weslayan, 711 Louisiana and 1864 Fountain View: Cookies can’t make everything better but they don’t hurt, either. Owner Michael Savino is offering furloughed government workers their choice of a free, freshly baked cookie. The offer is for one cookie per person and good until the shutdown ends. Art of Coffee, 1849 El Dorado Clear Lake: Clear Lake is home to NASA and near Ellington Field, where there are many federal employees. The restaurant community in the area is well aware of that, so there are several offers to be found southeast of Houston. At the Art of Coffee, any government worker “who needs a pick me up” can get a cup of house black, gratis. The government shut down has dragged on long enough that Rosewater cocktail bar in Clear Lake came down with an actual Shutdown Specials menu. Photo courtesy of Rosewater. BCK Kitchen & Cocktail Adventures, 933 Studewood: Federal workers affected by the shut down can get 20 percent off both food and drink at this Heights eatery. Fuzzy’s Pizza, Katy: KHOU reports that the Katy location of the pizzeria is offering government workers half-off any medium or large thin-curst pizza until the end of the shutdown. A generous “cup”-sized portion of the signature smoked duck gumbo at Rainbow Lodge. Photo by Phaedra Cook. Rainbow Lodge, 2011 Ella: Federal workers going without pay can at least get a respite from the world in this beautiful, huge, log cabin with great views of the outdoors. 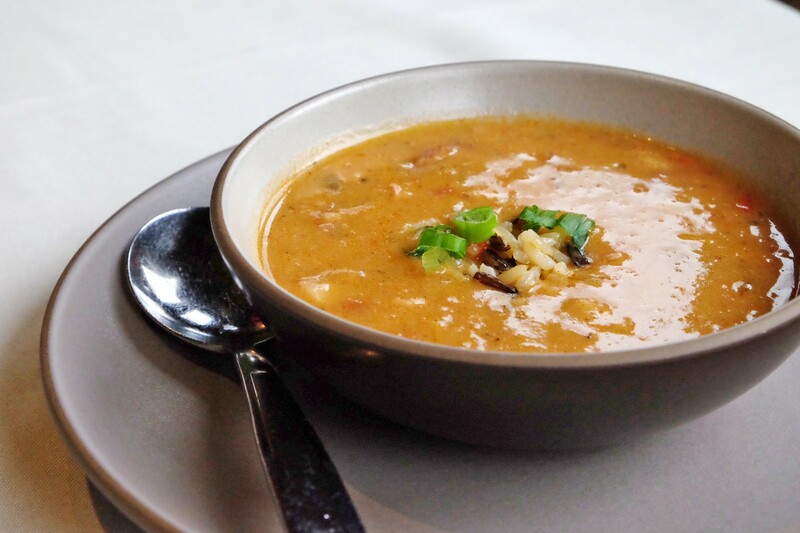 At lunchtime, with the purchase of any beverage, dine on a bowl of one of the restaurant’s hallmark offerings: the Smoked Duck Gumbo. Lunch runs from 11:30 a.m. until 3 p.m. Tuesdays through Fridays and the special is available until the government reopens. Those taking advantage of the offer are asked to please still tip their servers. The offer is for dine-in only and for groups of four or less. 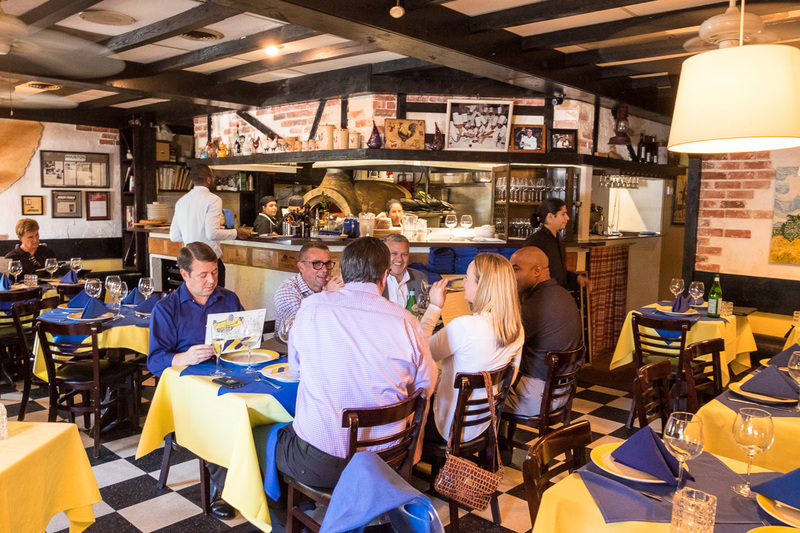 The French-style dining room at Bistro Provence gets pops of color from sunny yellow tablecloths and blue napkins. Photo by Phaedra Cook. Bistro Provence, 13616 Memorial: Any federal worker going without pay can enjoy a free lunch at this long-running, independently owned French bistro in the Memorial area. The offer is good Mondays through Fridays — and once a week person — while the shutdown lasts. Choose one of two main course meals, which change daily and are listed on the blackboard. Reservations are required; make one by calling (713) 827-8008 or send an email. [email protected] The offer is dine-in only and good for groups of four or fewer. Axelrad, 1517 Alabama: As reported by KHOU, the casual midtown hangout is giving a free beer to laid-off federal workers. Tempura Cauliflower at Riel. Photo by Phaedra Cook. 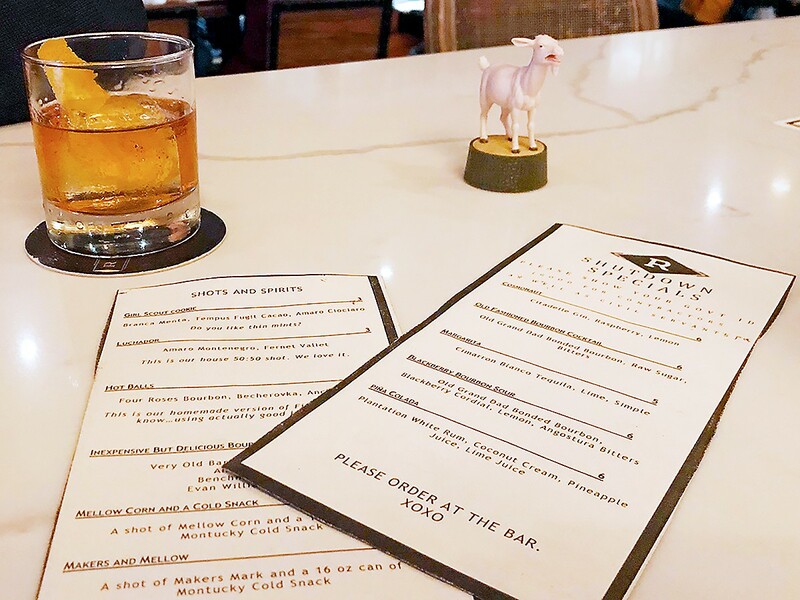 La Grange, 2517 Ralph: Those affected by the government shutdown can get 25-percent off all food items at this bar and restaurant with an extensive multi-level patio. While not discounted, there’s also plenty of craft beer and cocktails to drink alongside. Riel, 1927 Fairview: Furloughed federal employees can get half off of Riel’s happy hour menu Mondays through Fridays between 5 and 6:30 p.m. 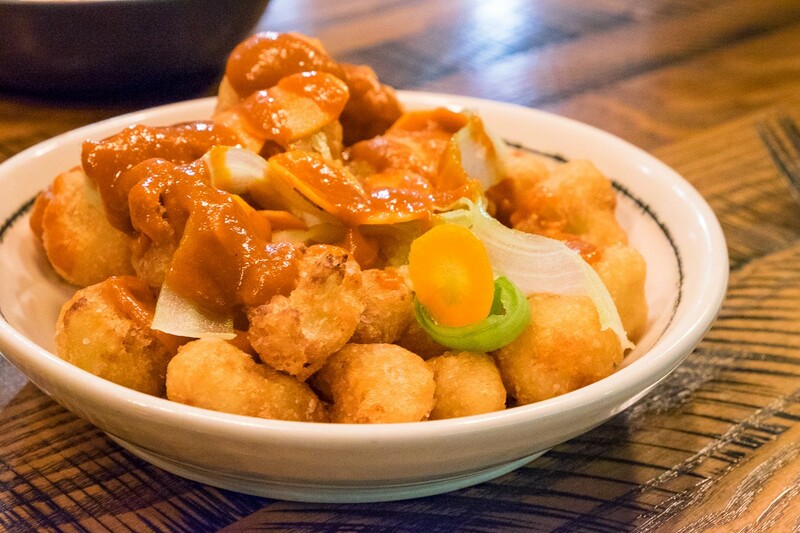 The already-discounted offerings include Tempura Cauliflower with kimchee hot sauce, Mini Dogs with an egg yolk, fried rice and gochujang, a selection of $7 wines by the glass and $8 classic cocktails. Lasagna House, 217D Cypress Creek Parkway: This respected outpost for the 75-year-old Lasagna House brand is joining in on the Furlough Friday trend by offering free meals to unpaid government workers. Those who can verify their status can have their choice of the pasta bowls and a glass of iced tea at no charge. As far as members of Congress: owner Matt Vernon says they can pay double. In addition, he says if someone is seeking side work for supplemental income to email him and he’ll see what he can find. Cottonwood bar and restaurant in Oak Forest. Photo courtesy of Cottonwood. 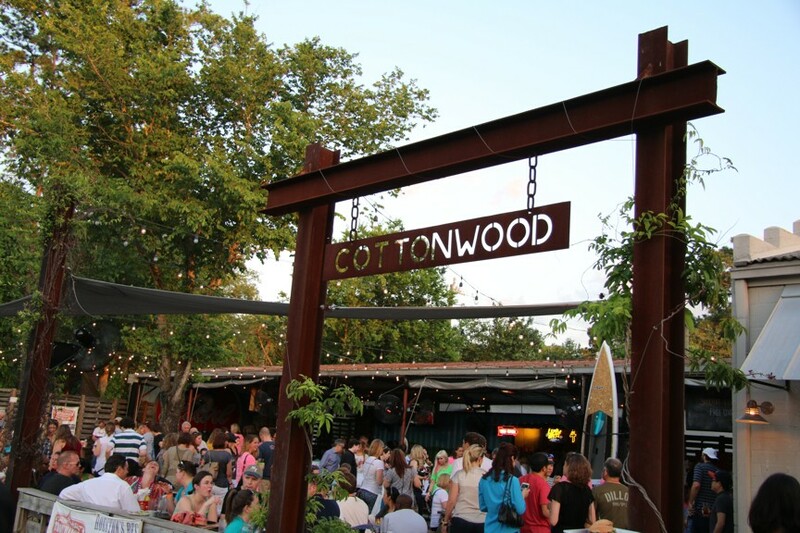 Cottonwood, 3422 North Shepherd: The laid-back restaurant, bar, and live music destination located in Garden Oaks is offering 25 percent off all food to those affected by the government shutdown. Some examples of the dishes include the Squirrel Master Burger, po’ boys, paninis, fish and shrimp tacos, BBQ oysters and fried Boudin Balls. Pipeline Pizza, 3931 Spencer Highway, Pasadena: Federal workers affected by the government shutdown can enjoy one free pizza — any size and with a choice of toppings— every day until it reopens. D’Amico’s Italian Market Café, 5510 Morningside: This Rice Village eatery is giving furloughed workers a free spaghetti and meatballs meal. It can be had for either lunch or dinner and is not only good for the worker but also for one guest. The offer is good Mondays through Thursdays while the shutdown lasts and includes one non-alcoholic beverage. The offer is only good once, is for dine-in only and reservations are encouraged. Call (713) 526-3400 to make one or visit the website. 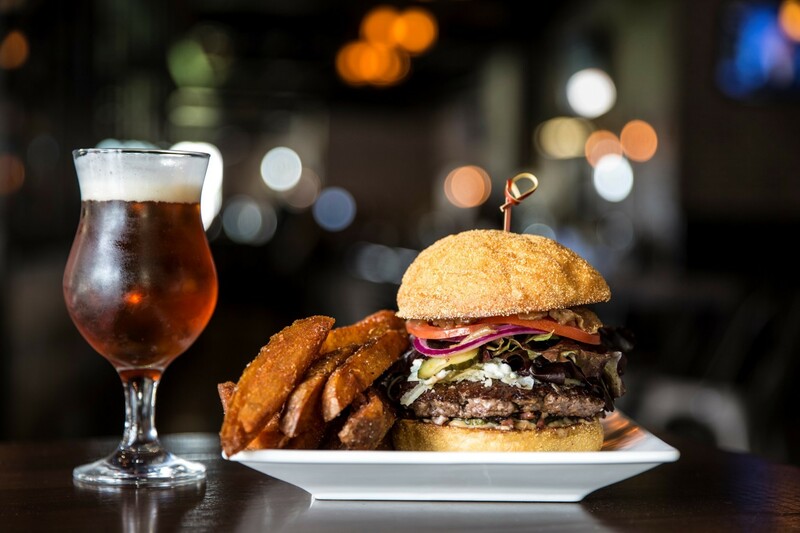 Bosscat Kitchen & Libations, 4310 Westheimer: Like sister restaurant BCK Kitchen in the Heights, Bosscat is also offering 20 percent off food and drink to affected government employees. Ouisie’s Table, 3939 San Felipe: This 46-year old southern dining destination has seen many difficult economic periods come and go. Now, it’s lending unpaid federal workers a hand with a free meal once a week per person. For lunch, choose any entrée on the menu. At dinnertime, guests can pick a main course valued at $30 or less. Veritas Steak & Seafood, 1550 Lake Pointe Parkway, Sugar Land: Owner Kevin Rios is offering a free, three-course lunch or dinner to furloughed federal workers on Monday, January 21. Caroline’s Kitchen, 411 West Main, Tomball: This Mexican restaurant specializing in tamales is giving unpaid government employees with a dozen on “Furlough Fridays.” Added January 18, 3:05 p.m.
Decatur Bar & Pop-Up Factory, 2310 Decatur: The brand-new restaurant replacing the original Beaver’s is offering either a free canned beer or half-off one cocktail to government employees affected by the shutdown. No support from “OUR LOCAL BILLIONAIRE” Tillman??? Where is he and all the others in support of our government employees. Great jobs to all helping out!